One of the most exciting ways to experience London! Flexible ticket - you can visit the View from the Shard at any time on the date you select when booking. No need to pre-book a timeslot! Spectacular views of the city and its landmarks from 800ft up, one of the most exciting ways to experience London! Save 19% off the Gate Price! Your ticket will be valid for the date you select when making your booking. 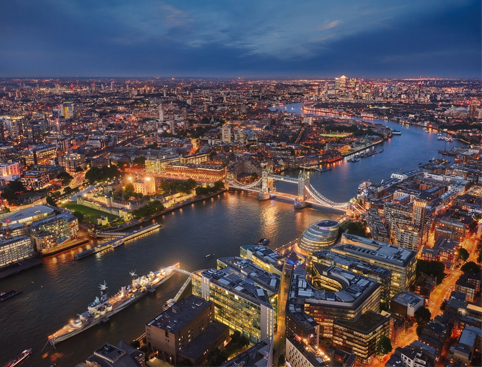 You can visit at any time you choose on that day – just present a printed copy of your ticket at the box office (main desks) located inside The View from The Shard and you’ll be able to head up the elevators at the next available timeslot. Terms and conditions: Virtual Reality Experiences are not included in the cost of this ticket. An additional charge of £10 per experience will be payable locally. VR Experiences are not available to purchase online and can only be bought during your visit on our open-air Skydeck. Suitable for ages 12+ further restrictions apply. In the event of heavy rain or storms, the VR experiences will be unavailable. A Virtual Reality experience can be unsuitable for people with certain ailments or conditions. A waiver outlining these conditions must be read and signed prior to using the experiences. The VR experiences are subject to queues. Early arrival is advised to avoid disappointment. You must use your ticket on the date you select when making your booking. Don’t Miss: Spectacular views from the tallest building in Western Europe! 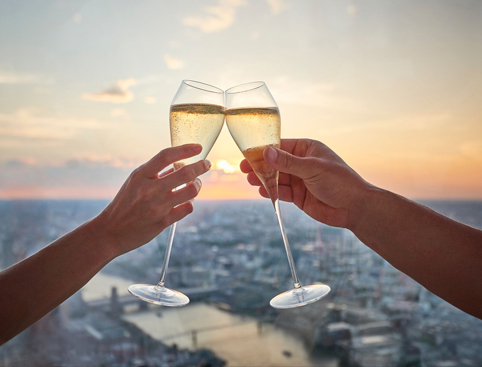 It’s Official: The Shard is voted the Most Romantic View in the UK! Experience London as you’ve never seen it before from the top of one of the city’s most iconic landmarks! 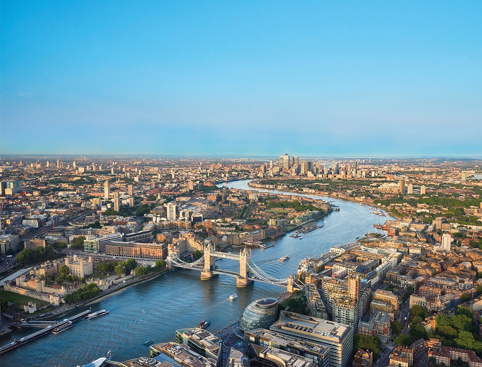 Located in the heart of the capital, The View from The Shard is easy to fit into a day of sightseeing, and our Shard tickets can be used anytime within a year from the date you book. At a towering 1,016ft (310m) The Shard is the tallest building in Western Europe, with its observation deck “The View” sitting at nearly twice the height of any other viewing platform in London. Enjoy the views for as long as you like! Give in to the need for speed and zoom down The Slide – the UK’s highest VR experience standing at 800ft above the ground! Feel your blood rush as you travel at 100mph on this fast and furious 360° journey through London’s skyline. This is one of the most exciting ways to experience London, with stunning 360° views over the city and 40 miles into the surrounding counties. And you can enjoy the scenery whatever the weather! Stay warm and dry behind the floor-to-ceiling windows of the indoor deck, or step out onto the open-air viewing platform. See the sights at their clearest in the light of day, or for a more romantic experience, visit The Shard as the sun goes down and the city begins to light up for the night. *The Slide is not currently included with our tickets. Slide tickets are available to buy on the day at the open-air Skydeck of The Shard for a fee of £10 per experience (subject to availability). Open daily, except for Christmas day and other special dates. Opening Times: 25 October - 21 March: Sunday to Wednesday 10am - 7pm (last entry 6pm) Thursday to Saturday 10am - 10pm (last entry 9pm). 26 March - 28 October: Open daily 10am - 10pm (last entry 9:00pm). Except for Saturdays where closing time is 9.15pm with last entry at 8pm. Please note: all opening times are approximate and may be subject to change. 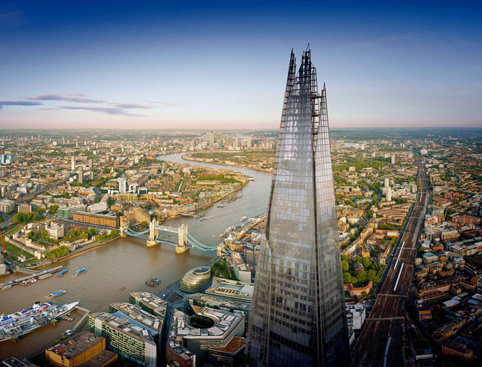 There is no time restriction on your stay at The Shard - enjoy the experience at your leisure! To ensure safety, you will be required to pass through an electronic body scan and have personal items and luggage scanned before entry. Items that cannot be brought into The Shard include rucksacks and large bags over 22 x 15 x 8” (55 x 38 x 20cm) or other large equipment. There are no cloakroom facilities for bags. Pushchairs can be folded and left in the designated area in the booking hall. Children aged 4-15 also need a valid ticket and must be accompanied by an adult aged 16 or over. Please bring ID that matches the name on your ticket. 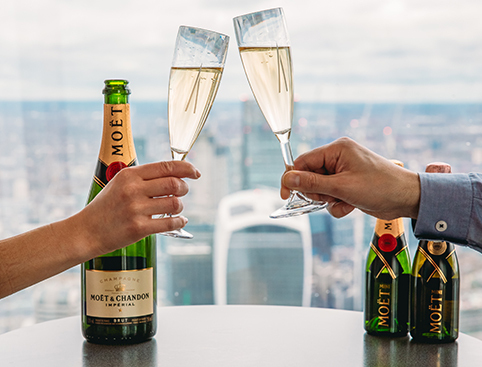 Upon arrival at the View from the Shard you will be allocated the next available entry slot. Please note that there may be queues during busy periods. The View from The Shard Tickets is rated 4.8 out of 5 by 50. Rated 5 out of 5 by Shey from Amazing Day Out Fantastic view of London from The Shard, me and my family enjoyed it very much. Rated 4 out of 5 by CandidNitz from Wondeful day out The VR experiences were great. We liked ‘Vertigo’ more than ‘The Slide’. The day was foggy so couldn’t get any good view, but they gave us free vouchers to visit any day later within a year (but you have to book i.e. use the vouchers within 3 months). Overall a great day out and would recommend to go along with VR passes!! Rated 5 out of 5 by Melanie from Such a memorable experience. Brilliant. We decided to go later in the evening and found there were no queues and all he staff were so friendly and welcoming. Had a try on the virtual slide...excellent fun! Sorry for swearing to the crowd nearby...it was the fear! Loved having a drink at the bar and spending time enjoying the wonderful views of the capital. Rated 4 out of 5 by Chay from The Shard Nice evening only let down by low cloud. Tickets restamped for another visit when weather is better. Good exprience. Rated 5 out of 5 by Sandy10 from Great day I treated my daughter to this experience as a Xmas treat. Rated 5 out of 5 by Stoneage from Brilliant sunshine on a Sunday morning. Bought tickets for my wife and myself, very nice price.